Maybank was incorporated on 31 May 1960 and commenced operations on 12 September 1960. On 17 February 1962, the bank was listed on the Kuala Lumpur Stock Exchange (now known as Bursa Malaysia). Today, it is the largest financial services group in Malaysia. Its extensive products and services include commercial banking, investment banking, Islamic banking, offshore banking, leasing and hire purchase, insurance, factoring, trustee services, asset management, stock broking, nominee services, venture capital and Internet banking. 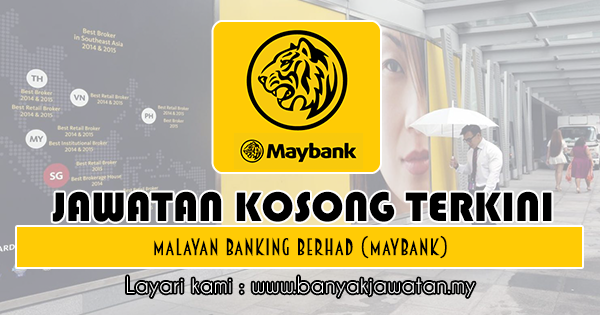 0 Response to "Jawatan Kosong di Malayan Banking Berhad (Maybank) - 24 April 2019"